Chris Merritt grew up in Oklahoma and is a graduate of the Oklahoma City University, from which he has also received an honorary Doctorate of Music. 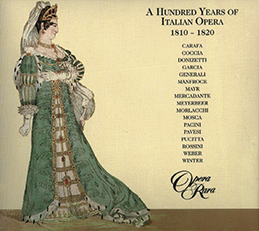 Aside from his notable work in Rossini roles, Merritt has a repertoire that includes the major operas of Puccini, Verdi, Meyerbeer and Offenbach. 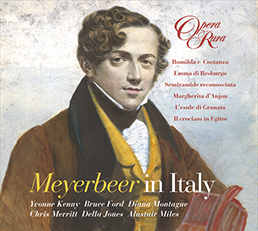 Since his operatic debut in 1975 with the Santa Fe Opera, Merritt’s tenor voice has taken him to the world’s major operatic stages in the US and Europe, including La Scala, Covent Garden and Salzburg. 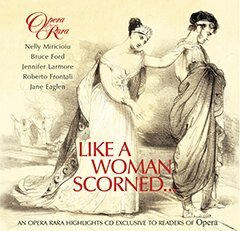 His recordings with Opera Rara include Colonel Villars in Donizetti’s Emilia Di Liverpool and A Hundred Years of Italian Opera – 1810 to 1820.